The city of Onitsha will come alive on November 1 as former Nigerian internationals take on Anambra All Stars at the Nanka Stadium to open the sports week put together by Labour Party's Governorship candidate, Ifeanyi Ubah, to reinvigorate sports in the state. The presence of the former internationals is expected to draw football lovers and fans who are eager to catch a glimpse of the ex-players to the stadium re-enact skills, which made them house hold names in their playing days. Former Super Eagles captain, Austin Okocha, will lead the former internationals against the Anambra team. 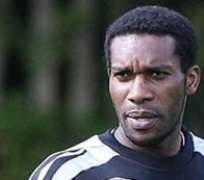 Okocha, who was at a reception held by Ubah in the honour of the country's former stars last Tuesday has vowed to lead his team to a resounding victory against the Anambra team. Some Nollywood actors are also billed to take on sports journalists in Anambra to add some excitements to the sports week. The coaches in the states are also not left out, as a coaching course, to be handled by seasoned coaches led by Samson Siasia, John Obuh and Emmanuel Okocha will hold between November 2 and 4. They coaches will have the opportunity of getting quality knowledge from the resource person, who are prepared to pass down the latest coaching techniques to them. students tip on how to become successful sportsmen without losing sight of their education. The event will be rounded off with a gala night, which will bring together former international, current players and sports stakeholders in the state.